Exciting news! We are in the midst of Red's Revival! 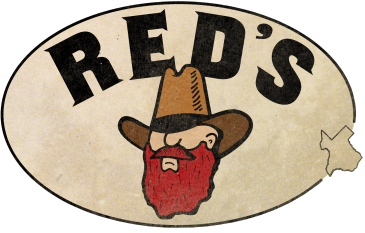 If you have followed Red's Texas for awhile, you know that John has had health issues which prevented him from continuing to make his award winning salsas and hot sauces over the past few years. In a whirlwind of circumstances, John's son Ryan had a friend start a sauce company with his brother for their family recipes. Texas Triangle Grove has taken on the mantel to make sure Red's products are not lost! John is still advising and will always be a big part of Red's future. He is grateful for all your support and recovery well wishes. We reintroduced John's great salsa at the 2017 Austin Hot Sauce Festival and now you can buy them online on our Salsas page or find us at a show! Now also available on Amazon Prime! We will be bringing back the hot sauces so stay tuned for more updates! 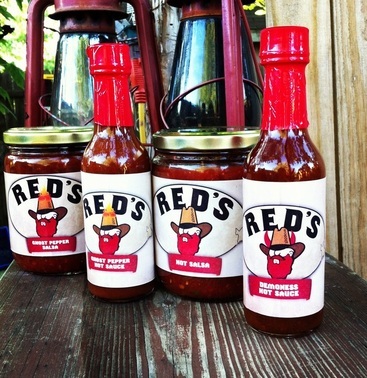 Check out our PodCast with Brian and Marilyn Meagher of HotSauceDaily.com!